After a criminal accusation or arrest in the Tallahassee area, including Leon County, Franklin County, Gadsden County, Jefferson County, Liberty County and Wakulla County, you should hire an experienced attorney to help you fight for the best possible outcome in your case. 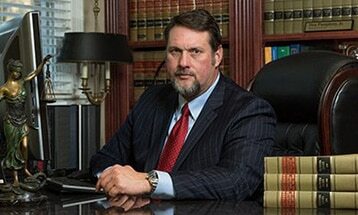 Attorney Don Pumphrey, Jr., has handled thousands of criminal law cases over the past 12 years. Before opening Pumphrey Law, he gained valuable experience working as a law enforcement officer and an Assistant State Attorney for the State Attorney’s office in Pinellas County, Florida. Although this site has invaluable information regarding numerous criminal charges in Florida, there is no substitute for speaking to an experienced lawyer. Every situation is different. Small details in the case can make a huge different in how it is resolved. Call us for a consultation. The attorneys at Pumphrey Law will help you formulate the best defense to your criminal charge. We can help you find mitigating factors that might lead to an outright dismissal of all charges or at least having the charges reduced substantially. The attorneys at Pumphrey Law will help you formulate the best defense to your criminal charge. We can help you find exculpatory evidence and mitigating factors that might lead to an outright dismissal of all charges or at least having the charges reduced substantially. Read more about how Florida treats drug charges from simple possession of a controlled substance to more serious charges such as possession with intent to sell or deliver, charged involving delivery or sale of a controlled substance, possession of a drug house, and trafficking or armed trafficking. Find out more about filing a litigating a motion to terminate probation early. The court is likely to grant a motion to terminate probation when at least one-half of the term of probation has been completed, and all special conditions have been completed. We have the experience to help you fight your case. After a criminal accusation, you should contact an attorney as soon as possible. Never talk to a law enforcement officer about a criminal accusation until after you have retained an attorney. If you need a Florida Criminal Defense Attorney, call us now! We are experienced with the tactics used by the Leon County Sheriff’s Office, the Tallahassee Police Department, and other local law enforcement agencies in the surrounding areas. We represent clients at every stage of the case. Contact Pumphrey Law today for a consultation about your criminal charges at (850) 681-7777. This article was last updated on Wednesday, September 15, 2016.